» How Can You Explain Twins with Different Skin Color? How Can You Explain Twins with Different Skin Color? Finding out you’re going to have twins is a wonderful miracle in itself. Then, when they’re born, and you see that you have twins with different skin color, that is absolutely amazing! After all the excitement has kinda toned down a bit, we may find ourselves asking, “How did this happen?” Well, decoding life isn’t as simple as some people may think. What do you call twins with different skin color? Twins of different color are called “mixed twins” or “biracial twins.” Mixed twins are actually fraternal twins (dizygotic) who are born to a multiracial family. These particular families have different skin color and other racial features. It is a fact that specific genes dictate the color of a person’s skin. Since mixed twins are born from biracial parents, these twins have inherited different gene variants code for that influences the differences of the melanin in their skin. Parents of biracial twins have a beautiful combination of gene variants for light or dark skin in their genome. How likely is it to give birth to biracial twins? Geneticist Jim Wilson said that there is about one in 500 chance for mixed-race parents wanting to have twins that their babies will be born with different skin colors. The case of Whitney Meyer and Tomas Dean from Quincy, Illinois is a perfect example of this. Whitney and Tomas are the parents of fraternal mixed twins Kalani and Jarani Dean. Kalani got her mother’s fair skin, while Jarani got her dad’s brown skin. The twins are dizygotic or fraternal twins, which means that they developed as a separate fertilized egg. Each embryo then receives a different combination of genes from their mom and dad. Since the parents are of different racial backgrounds, the twin inherited genes for skin color differently. Another mixed twin sensation is “Little Strong Girls” Isabella and Gabriella Shipley who are fraternal twins of Clementine Shipley. Ever since she posted a picture of her twins in her Instagram account, she has received a lot of love from people all over the world. So, how can you explain twins of different color? The Daily Mail reports that Amelia and Jasmine are the first black and white identical twins born in the UK. 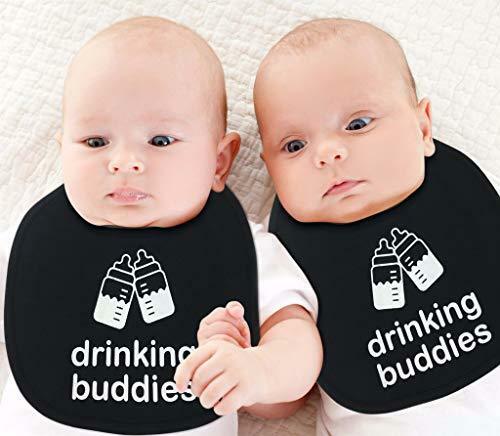 The twins are monozygotic twins (identical twins), which basically means that they grew out of the same zygote, which then split and developed two embryos. Amelia and Jasmin are born to Libby Appleby (37), who is Caucasian; and Tafadzwa Madzimbamuto (40), who is black. Monozygotic twins have always been the same gender, share the exact same genetic makeup and still look alike. But in the case of Amelia and Jasmine, this is a scientific breakthrough. They are identical twins that don’t look anything alike. Amelia has dark skin, brown eyes, and black hair. Jasmine, on the other hand, has fair skin, blue eyes, and curly hair. Dr. Claire Steves from the Department of Twin Research explains that there various genes control skin color. Even if identical twins share these genes completely, this is still not a guarantee. He says that the twins’ differences may be attributed to the change in how each of them developed in their mom’s womb. This condition is called somatic mutation. She specifies that sometimes markers in the DNA that affect the degree to which the DNA is expressed can be different in each of the twins. Things like skin color are thus subject to what she calls as “epigenetic” control. Another reason why this happened maybe because of the environment in which the twins were exposed to. 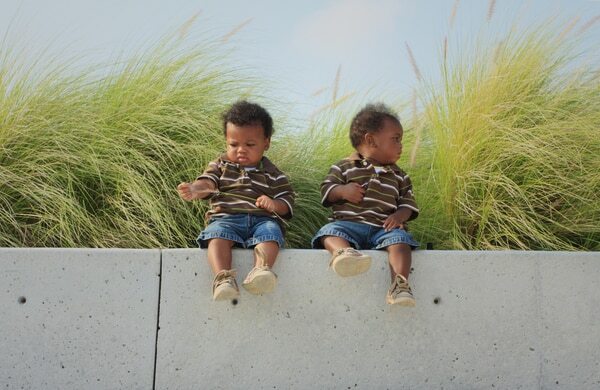 If one had more exposure to the sun or developed a condition related to skin pigmentation, then the color of the twins’ skin is affected. In the end, Dr. Stevens said that the case of Amelia and Jasmine being identical twins yet having a different color of skin is unusual indeed. Amelia and Jasmine were born at University Durham Hospital in the year 2014. What are the expected challenges of mixed twins? There have been reported challenges for biracial or mixed twins. One example is that the twin who may not share the same skin color as a parent may feel left out or different. This may result in having other kids in school ask them the why-don’t-you-look-like-your-mom-or-dad question endlessly. Another issue that can arise is the struggle with the feeling of having a “hidden” identity that the society finds difficult to accept. Take for example a biracial twin with fair skin but come from African heritage. Going through an identity crisis isn’t at all easy to go through. Since twins will come to a point when they have to find their sense of self. The process of finding one’s self involves searching for a certain religious, ethnic, occupational, or another identity to determine who they are. So, people around them will play a significant role in doing this successfully. There may also be some challenges when it comes to the health of biracial twins. A study conducted in Scandinavia reveals that there are greater adverse pregnancy outcomes with births from mixed race parents compared to births from parents of the same race. With these issues at hand, it is important to help families and children who are experiencing these challenges. Simply talking to them and showing care and concern are significant sources of encouragement. Letting them know that we understand their situation and providing tips as to how they can cope in school and in the community is can make a huge difference. Now that we know that having twins with different skin color is a possibility especially with more mixed race couples having twins, this goes to show that life is to be celebrated beyond the color of our skin.